Explore our product manual, API documentation, or get in touch with our support team. Get a demo and your questions answered. Learn how ALM Works products can transform your business experience. Want to empower your product with ALM Works? Become one of our partners. 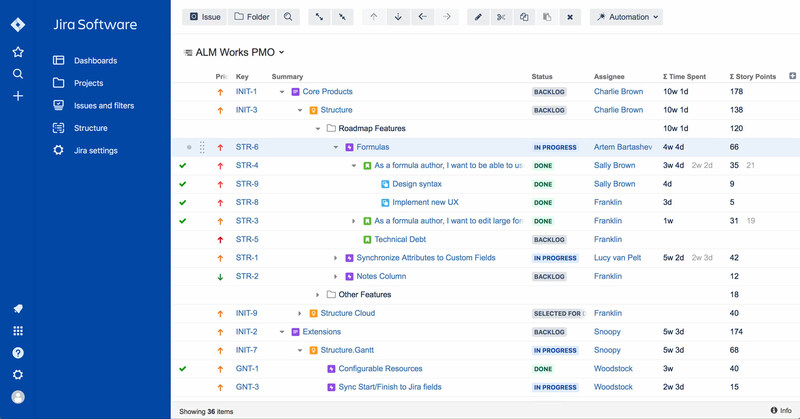 ALM Works Product News from Atlassian Summit 2019 We had a great week at Atlassian Summit 2019 in Las Vegas. In case you missed it, here’s a recap on our latest product news. 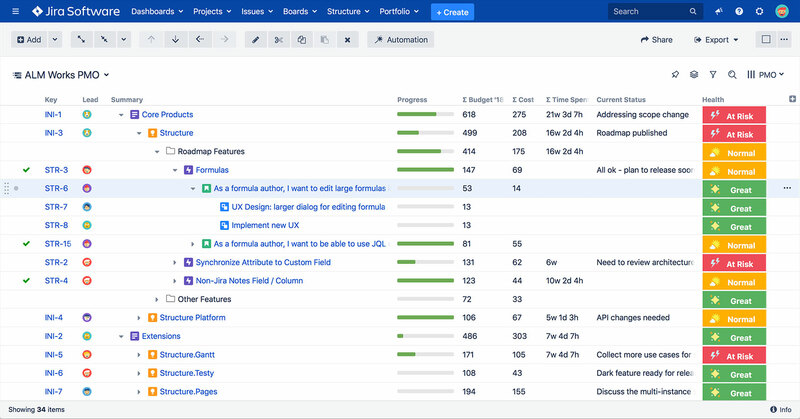 Introducing Agile Gantt - The Evolution of a Manifesto Today we’re introducing Agile Gantt to the world of Jira project management. Structure.Gantt v1.4 blends the visualization power of Gantt charts with the agility of sprint planning. Introducing Structure Cloud Structure for Jira has long been one of the leading Jira apps in the Atlassian Marketplace, but it’s only been available for Jira Server, and Jira Data Center. Until now! 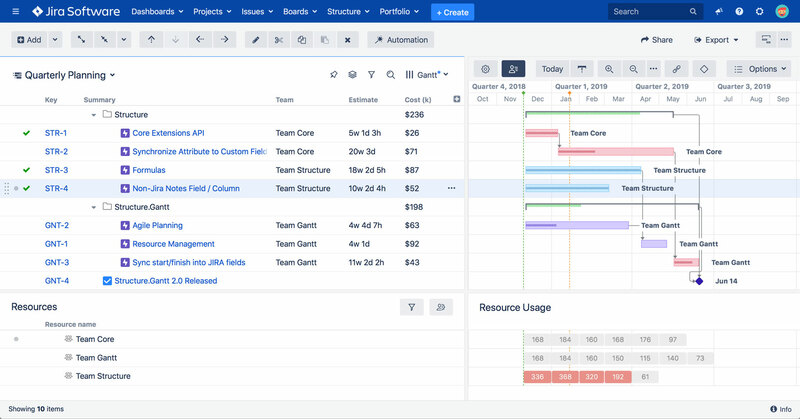 Coordinating Releases Across Teams Just Got Easier The ALM Works team has been hard at work on an important new feature, and today I'm thrilled to tell you more about it: Version 5.3 of our flagship product, Structure for Jira, which includes the new feature is now available on the Atlassian Marketplace. Read on to learn more. Introducing Slice-based Configurations for Structure.Gantt In case you missed it, we recently introduced Structure.Gantt 1.3 which features Slice-based Configurations. This new feature enables you to create custom rules that govern how specific sets of issues will be treated in your Gantt charts. This blog post introduces you to this powerful new feature.